Located in the south central Guangdong Province and to the east of the Pearl River estuary, Dongguan lies in the middle section of both the Guangdong-Hong Kong-Macao Greater Bay Area and the Guangzhou-Shenzhen Science and Technology Innovation Corridor. Initially a county called Bao’an in AD 331 in the Eastern Jin dynasty until AD 757 in the Tang Dynasty when it changed its name to the current Dongguan: “dong” means east in Chinese referring to its location of being east to Guangzhou and “guan” is the name of a kind of grass growing in profusion on this land. Becoming a county-level city in September 1985 and upgraded to a prefecture-level city in January 1988, it now encompasses four urban subdistricts and 28 towns, with an area of 2,460 square kilometers and a population of 8.34 million (by 2017), which includes 2.11 million as registered permanent residents. 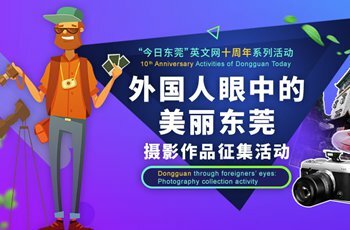 Some 200,000 overseas Chinese and 700,000 compatriots in Hong Kong and Macao have their ethnic origin in Dongguan, making it a renowned homeland for Chinese overseas. Taiping Handbag Factory, China’s very first enterprise involved in processing and assembly with given materials and parts or compensation trade, was founded in Dongguan in 1978, when the country kicked off its reform and opening-up drive. Since then, Dongguan has quickly transformed itself from a bucolic farmland to “the world’s factory” featuring its prosperous manufacturing industry and coordinated urban-rural development. 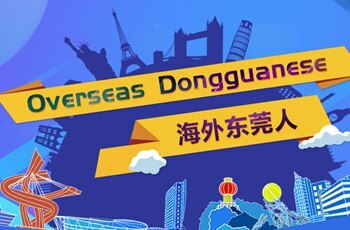 As a perfect showcase city, Dongguan is designated as one of China’s 18 exemplary regions in reform and opening-up. By 2017, its GDP increased by 8.1% to RMB 758.2 billion yuan, ranking 19th in China’s large and medium-sized cities and its total import and export reached 1.22 trillion, ranking fifth among peers. According to the jointly released report by the Chinese Academy of Social Sciences (CASS) and the UN-Habitat, Dongguan ranks 154th globally and 10th in China in terms of urban competitiveness.